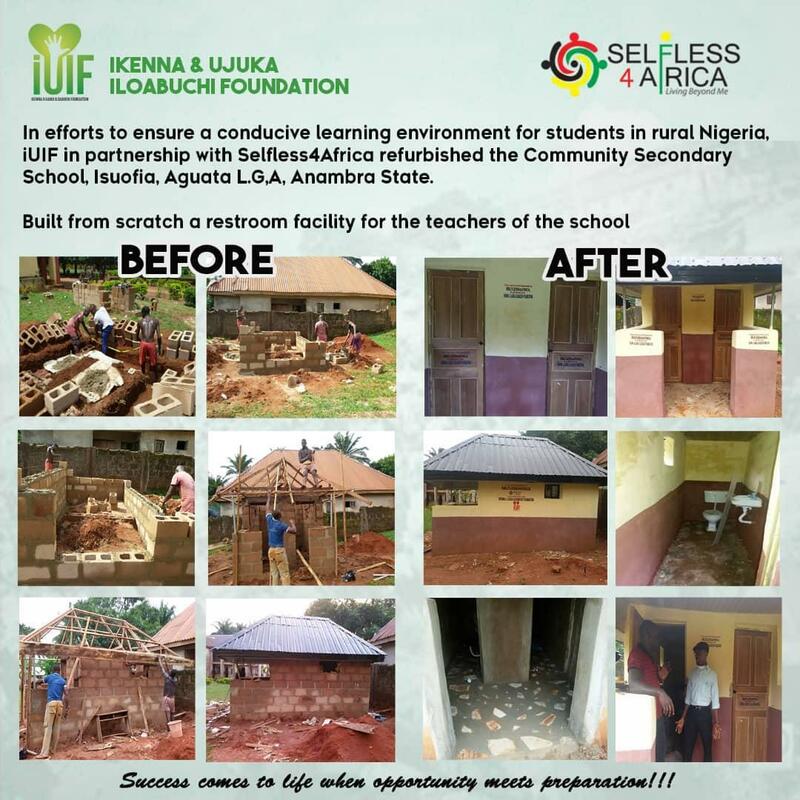 Selfless4Africa is proud of our partnership with the Ikenna and Ujuka Iloabuchi Foundation (iUIF) to deliver needed upgrades to Isuofia Community Secondary School facilities in Southeastern Nigeria. This is a multi-stepped community service project aimed at re-flooring a block of classrooms, providing sanitary toilet facilities as well as providing doors and windows to provide safety and security to students in the school. This project ties to our broader mission of encouraging quality education for the younger generation and engaging the youth to help their respective communities. The projected was completed and commissioned in October 2108.